Description How high can you get Jumping Princess? She needs to collect her crowns while bouncing on platforms in the air. If you miss you will falls to the ground. But don't worry. She wont get hurt, you can always start jumping again and try to beat your best score. 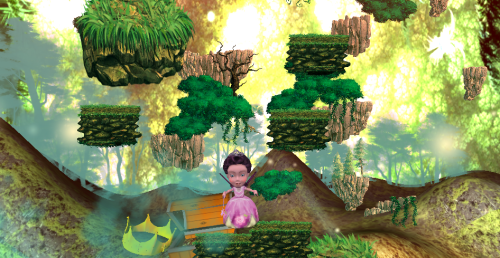 Fun animations, music and sounds make for a fun endless jumping game that will give you hours of girly fun.